Dream: Abby and I live in the alps well above the tree line, in what appears to be a crystal city of the 23rd century. We ski home each day. Shopkeepers, including us, put down batting at the corners of the trail so we ski smoothly. At home on our balcony we see one of our college-age houseguests climbing on the garden gate. I shout at him and he says he’s “trying out” his new gun, which I can see is a desert-tan SOCOM 5.56mm rifle with a folding stock. Back inside, I hear our guests mumbling about locking us in the brig. I tell Abby we’re going to have to get rid of them, and fish through the gun safe in the kitchen, passing up any number of sidearms to find her Walter and my Ruger. We go into the living room where we see our four guests. We aim our weapons, which now have suppressors on them, and order them to leave through the door behind them. One of them starts to say, “Listen, we just want to…” PAP! PAP PAP! PAP PAP PAP! PAP!” They all fall dead. 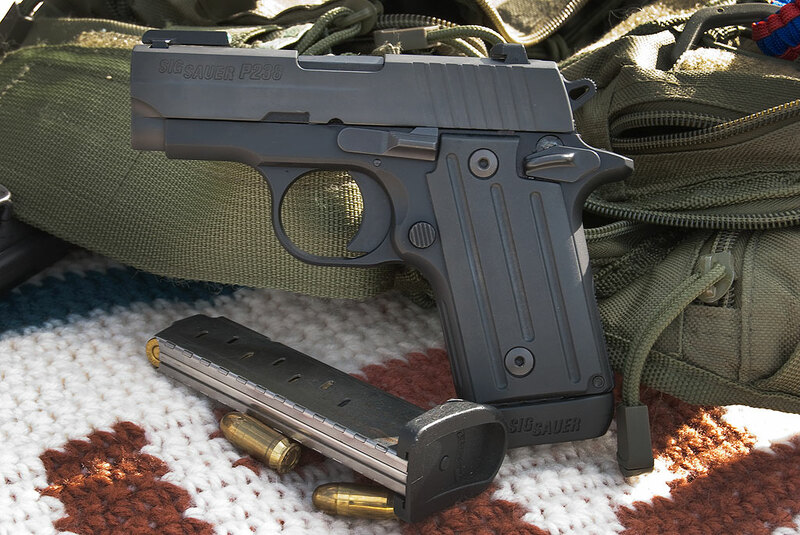 Yes, I know this is a Sig Sauer, but I’ve been holding on to this image for months, and wanted to use it. Pretty much everyone in America is having those sorts of dreams lately.